Morfa Cove Cottages offer self catering accommodation in Llandysul, Ceredigion. The cottages are located on the Heritage Coast of Cardigan Bay - a path through the fields leads down to the 'secret' sandy Traeth Cove with island. 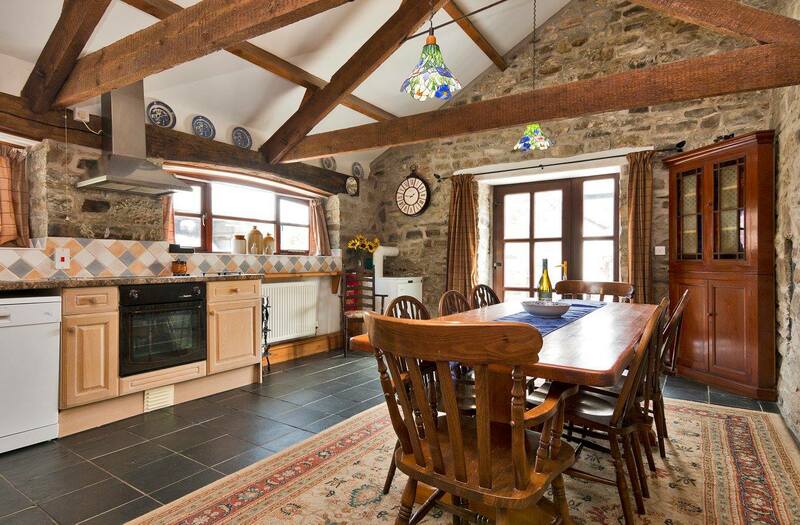 Bay Cottage is a large, beautifully finished holiday cottage arranged on two floors. It can sleep a maximum of 9 guests (plus cot). 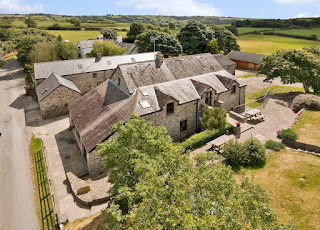 Coach Cottage is a former coach house which now provides beautiful and spacious holiday accommodation close to the beaches and coastal paths of West Wales. Cove Cottage is a stone barn which has been skilfully converted to provide a comfortable holiday cottage while retaining many original features. Bwthyn Cottage has been furnished and decorated to the highest standard, complete with log burning stove, a delightful kitchen, pine dresser and other period furniture. All of the cottages share access to a heated indoor swimming pool. There are many wonderful beaches within an easy walk. Peaceful coastal walking along the Heritage Coast Path between Cardigan and New Quay can be enjoyed at any time of year. This coastal area is little known by visitors to Wales, yet it has so much to offer. The bay itself is home to a colony of bottlenose dolphins, and you can often see them from the coastal path and headlands. In the late summer and autumn, grey seals are also a common sight, watching you as you walk along the paths.